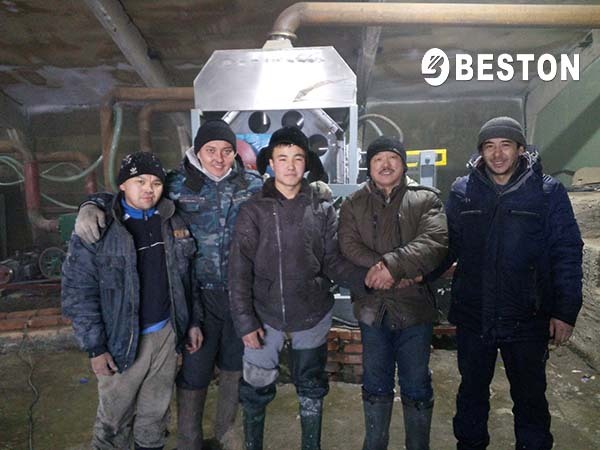 In recent months, Beston Machinery has received several orders of egg tray machines from Indian customers. 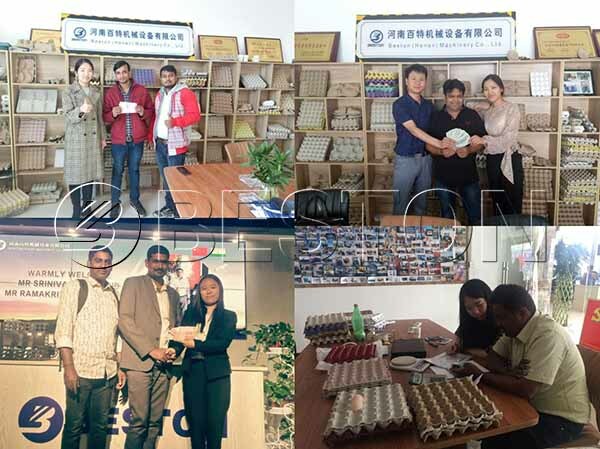 At the end of May, our clients came and visited our factory and finally paid the deposit. We are glad for the success of exporting our egg tray making machine in India. On June 18th, we have received some videos from our Indian customer. Our BTF-4-4 egg tray making machine has been put into use in India. Here is the egg tray machine video from India. After installation, we have done after-sales tracking. Let me quote from our customer: “In installation and production, the machine worked very well. Everything was great!” It was a great success for Beston. The market for Beston egg tray making machine in India looks very promising. Why Is Beston Egg Tray Making Machine Getting Popular In India? Presumably, most customers thought that the egg tray machine price in India is lower, especially for Indian clients. They could purchase an egg tray making machine in India to save transport costs. Why do they choose Beston egg tray machine? Beston Machinery has focused on manufacturing egg tray machines for more than 20 years. In these years, we have made use of up-to-date technologies to improve the working efficiency and stability. In normal conditions, our pulp molding equipment can work 3-5 years smoothly. It means that you can save much time and money on maintenance. Moreover, you will be satisfied with the quality of pulp molded trays, not only egg trays, egg cartons, but also many special-designed trays, such as seedling trays, shoe trays, etc. Due to the exquisite design of molding dies, customers around the world speak highly of the quality of end products. As you can imagine, there will be a wide market and great profits. There are many egg tray machine manufacturers in China and India. You may find the egg tray machine price in India is a little bit lower than that in China. However, the most egg tray machines in India cannot meet your requirements, especially in energy consumption and working efficiency. 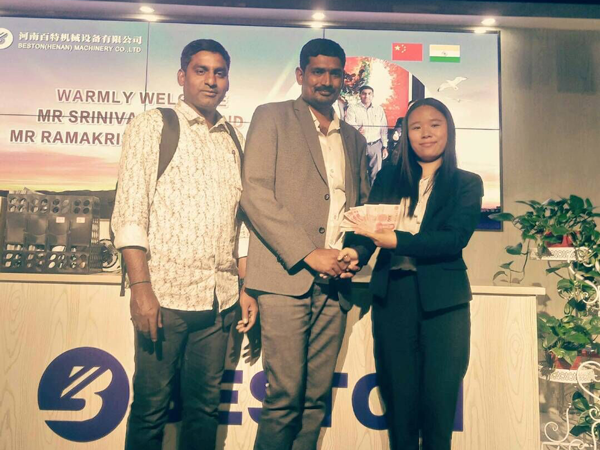 The good news is Beston has made great efforts and successfully developed a complete, efficient and advanced pulp moulding manufacturing line while reducing the operating costs. Our egg tray machines are always praised with a simple structure, energy-saving and nice appearance. As mentioned, many customers would like to buy an egg tray machine from Beston even it costs some freight and time. For one thing, we can supply the top-quality egg tray machine for sale. For the other thing, Beston also has rich experience in exporting, which will offer you professional service as well. If you are first investors, we can also provide you with specific and cost-effective egg tray manufacturing business plan according to your conditions. In addition, we will send engineers for your installation if you need. 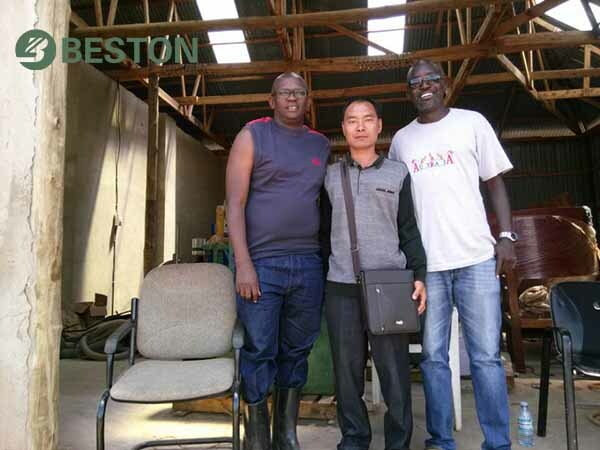 Beston Machinery will always do more that you expect. That’s why our egg tray making machine in India and other countries has been highly praised. Anyway, you will enjoy cooperating with us!